Once you’ve found your perfect vintage lighting fixture, the right bulb is vital to completing the look – here’s a guide to making the best choice. 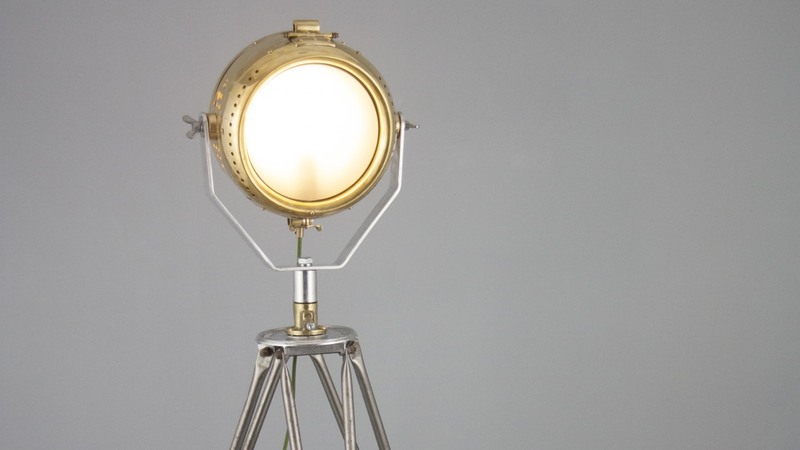 Do vintage lights work with LED lightbulbs? You wouldn’t be alone in assuming a vintage light needs an old-fashioned lightbulb. And, because of the initial cost of LEDs, it might be tempting to buy traditional filament bulbs for your lights (they’re the ones many of us grew up with, after all). 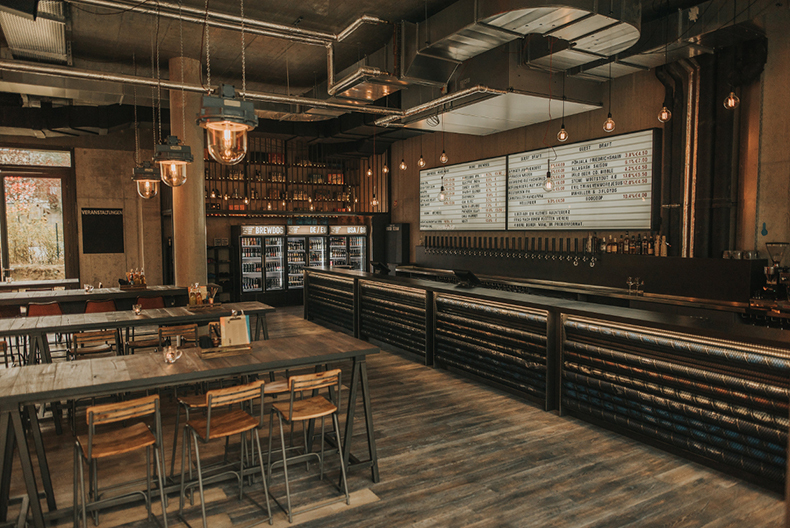 But although our lights fixtures are original, they’ve all been refurbished with modern wiring, so we wholeheartedly recommend LEDs. They’re more efficient, cheaper to run, and they’ll last you much longer – they typically have a lifetime of 25,000 hours (whereas filament bulbs will only last for around 1,000). Are vintage lights energy efficient? Because every skinflint fixture is fully refurbished, your light’s energy efficiency depends entirely on the bulb you choose. Even our oldest, most industrial fittings can run efficiently with LEDs, and will cost you no more to use than any modern fixture. What kind of cap fitting do you use? Where possible, our fixtures are re-engineered for E27 screw-in bulbs as standard – though we can also fit E26 lamp holders if you’re in the US; just let us know when you order. What style lightbulb do I need? Vintage-style ‘filament’ LEDs are available, but they’re better suited to clear glass than reflective shades — which were designed to work with light from a single point. If your light is a large fixture, you might be tempted to buy industrial-sized bulbs to match, but you don’t need to. We re-engineer our fittings to move the light source lower, perfect for a standard-sized, domestic bulb. As a result, an oversized bulb would actually make your light less effective, as the light source would then be too low for the fitting’s geometry. If you’re choosing a tube-based linear light, you can now buy LED tubes instead of fluorescent tubes. They’re great quality, much more energy-efficient, and they last longer. Our linear lights can be supplied with either – it’s up to you. 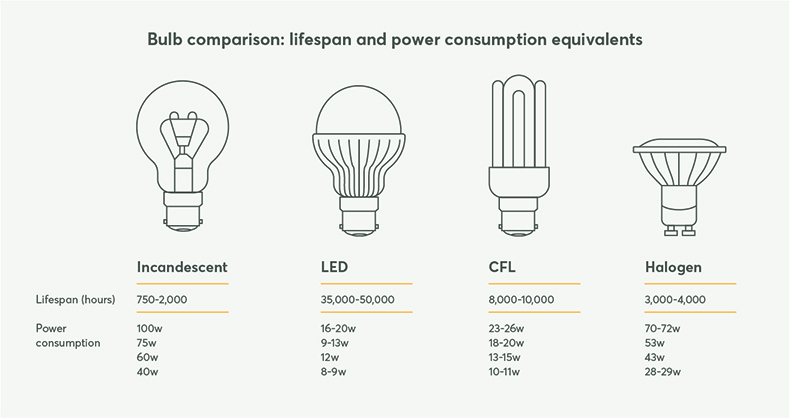 Since energy-saving bulbs such as CFLs and LEDs were created, lumens are a much simpler way of buying bulbs – the higher the lumen rating, the brighter the light. If you’re still more comfortable shopping based on wattage, you need to bear in mind that wattage measures power, not brightness. Energy saving bulbs use less power to produce the same amount of light as an incandescent, filament bulb. You’ll likely want a 12w LED. It’s roughly the equivalent to a 60-70w filament bulb (they both have a lumen rating around 800), and anything brighter may be too much for domestic settings. What does ‘colour temperature’ mean? 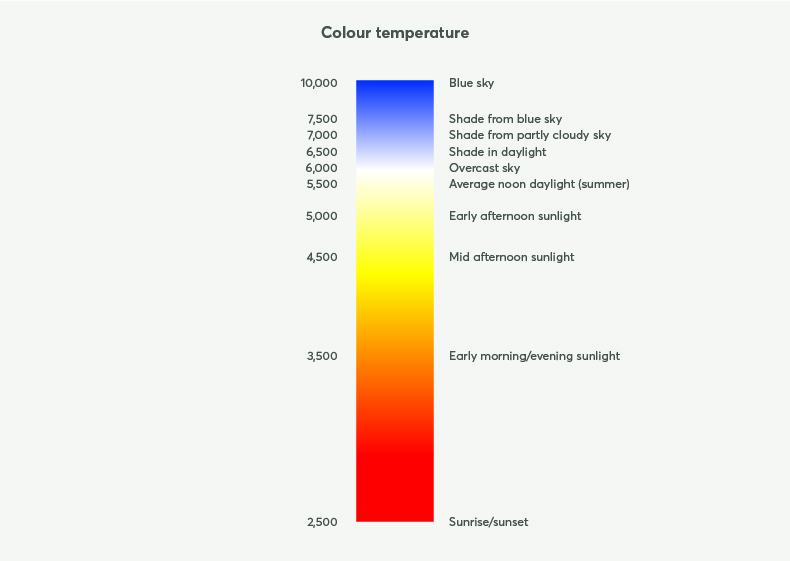 Colour temperature is important but often overlooked – it refers to how ‘white’ the light is. It’s measured in Kelvin: the higher the number, the cooler the temperature, and the ‘whiter’ the light. For living spaces, we recommend a warm white of around 2700K, while cooler whites (around 4200K) are generally best suited to offices and retail spaces. One important thing to remember is that all lights in the same room should be the same colour temperature, otherwise the difference will be distracting to the eye. Is my vintage light dimmable? Once again, this is all about the bulb you use – with the right LEDs and a compatible dimming switch, all vintage lights are fully dimmable. Even our oldest lights are re-wired and engineered to make them easy to use with modern bulbs, just as a new light fitting would – but if you do have any questions about choosing the right bulb, please feel free to contact our studio.